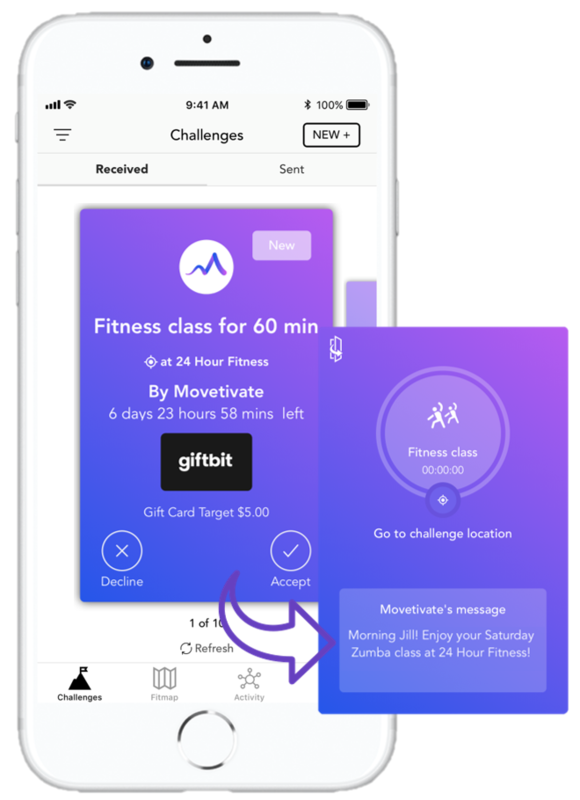 Want Movetivate to Send You Weekly Fitness Challenges? Sometimes it takes a little nudge to get us to work out. Tell us what kind of challenges you want us to send you and subscribe for $26/month. You’ll earn most of it back as we send you a challenge with a $5 gift card reward every week. Tell us what kind of challenges you want us to send you! Choose between walk, run, gym or fitness class and how long you want your challenges to be. Choose among a dozen awesome gift card brands for your reward! Pick the gift card Charity Choice and you'll be able to choose from over 1,000 different charities. You'll get a challenge every week on a day of your choosing. That helpful nudge and incentive to work out once a week!